Catalina Yachts was originally founded by Frank Butler who was also the chief designer. 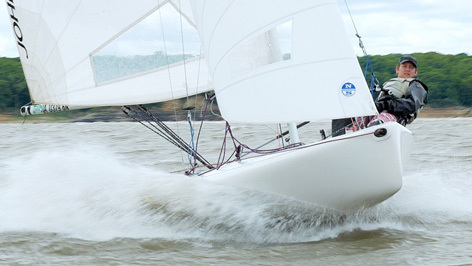 His first design, the Catalina 22, was built in 1969. Soon after came the ever popular Catalina 27. 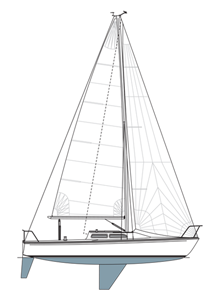 Both the Catalina 22 and 27 turned the tide on the production of fiberglass sailboats. 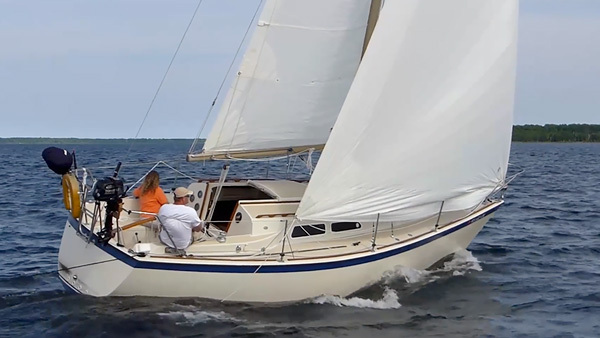 Buyers could finally purchase a well designed comfortable sailboat that not only sailed well but was maintenance free with their solid fiberglass construction. 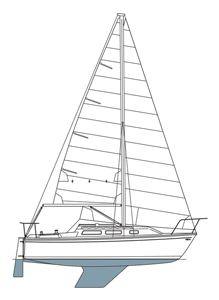 Other popular models like the Catalina 30 and Catalina 25 followed similar design and construction standards. 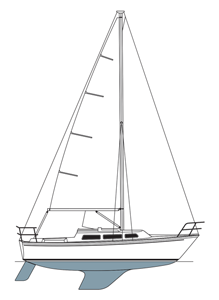 Today they build cruiser/racers, like the Catalina 309 (see above) that integrate modern comforts such as open walk out sterns, built in seating into the railing, wide cockpits and fold-able wheels that are perfect for entertaining. 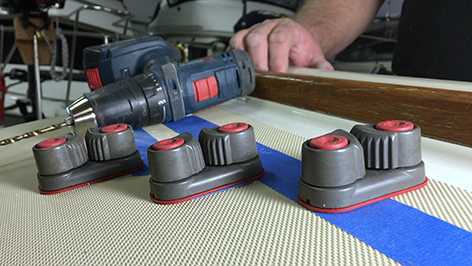 Learn how to update your reefing system with two simple add-ons. 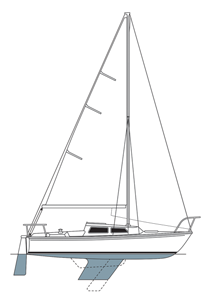 Up front, we add a reefing cunningham that simplifies the steps in getting the luff snug. On the boom, we add a new reefing winch so the foot of the main is easily pulled nice and tight. Watch the video for more. The good old cam cleat. They are used all over the place on both racing and cruising sailboats. Although they may seem common, you’d be surprised how many types of cam cleats are available! In this video, we focus on cam cleats and accessories exclusively from Harken. Removing rotten deck core is not fun, but the tips in this series of videos break down each step into a manageable process. 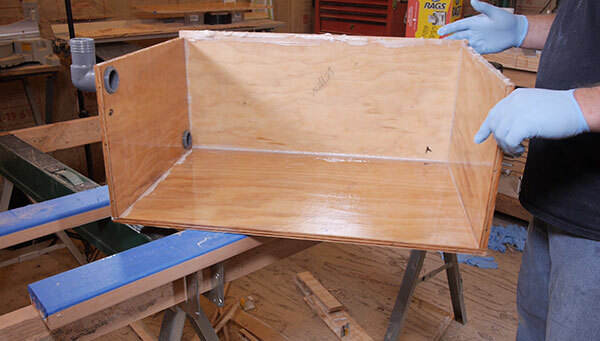 We also show you a way to repair the deck from the inside with virtually no fiberglass work! Replacing tanks on your boat? Learn how easy it is to make your own tanks. One advantage is cost-savings but the really cool thing is the ability to make the tanks any shape or size you want so you can maximize tank capacity! Mounting new hardware on your boat? Inside this video, you’ll see multiple installation tips that help keep leaks to a minimum and protect your deck from moisture intrusion. 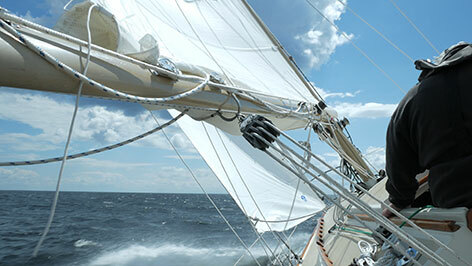 Thinking about painting your mast and boom, or spinnaker and whisker pole? 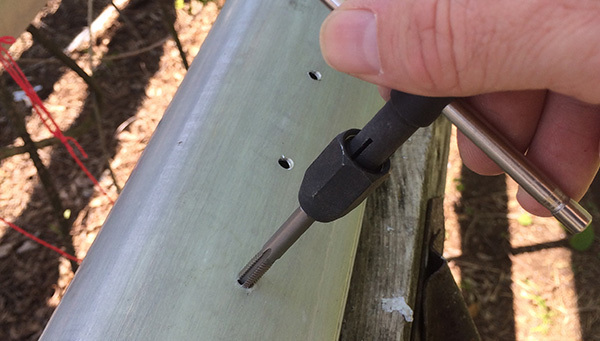 Learn how to fill unwanted holes first, before you prime and paint! If you’re like most sailors, the engine on your sailboat often gets used for much more than just coming in and out of the harbor. When the wind is gone they get used for hours on end to take us to our favorite places! Have you ever noticed a clunking or hammering sound while motoring? If so it’s possible your prop shaft strut bearing might be worn out. Inside this video you’ll learn how to determine if you bearing needs replaced and how to make a jig that makes it super easy to replace.